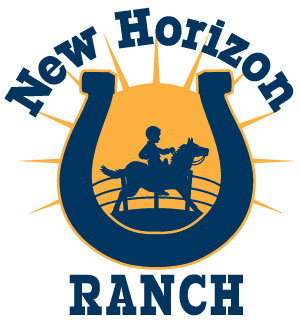 New Horizon Ranch, Inc. is a therapeutic horseback riding center located in Rantoul, Kansas and is currently offering Hippotherapy, Therapeutic Riding, Equine Assisted Learning, Equine Assisted Psychotherapy, and Summer Day Camp programs to individuals of all ages with physical, cognitive, social, emotional and learning disabilities. 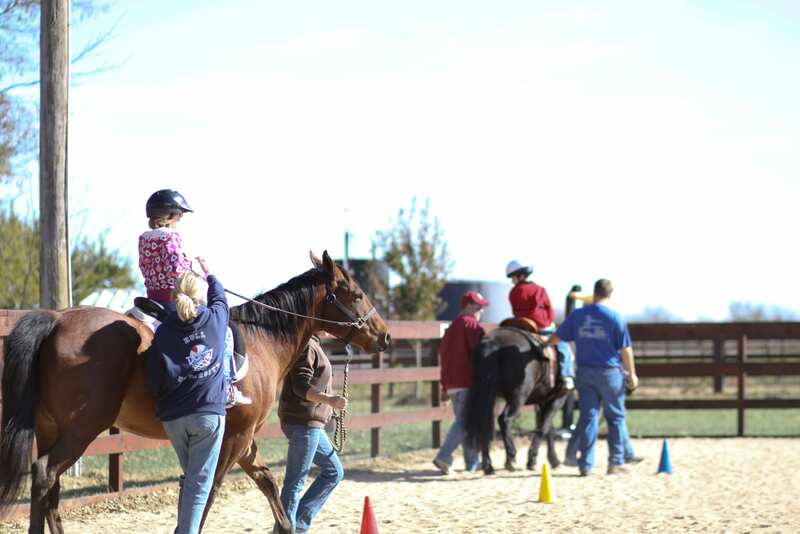 Riders of varying abilities are able to achieve appropriate levels of independence in their personal horsemanship and equestrian riding skills under the direct supervision of a PATH Certified Riding Instructor. Designed to help senior adults maintain strength, range of motion, memory, cognitive function, lower stress hormones and keep active and social. The Veterans program is a combination of groundwork and riding that allows Veterans of the Armed Forces and their families to partner with horses to reintegrate into civilian life. This provides opportunities for physical, cognitive, social and emotional healing and growth that can be customized to the needs of each individual. We are proud to give back to those who have bravely sacrificed so much for our freedom! This non-riding program, facilitated by an equine specialist (horse professional) and a licensed teacher, was intentionally developed to target youth-at-risk and those learners who struggle to remain engaged. 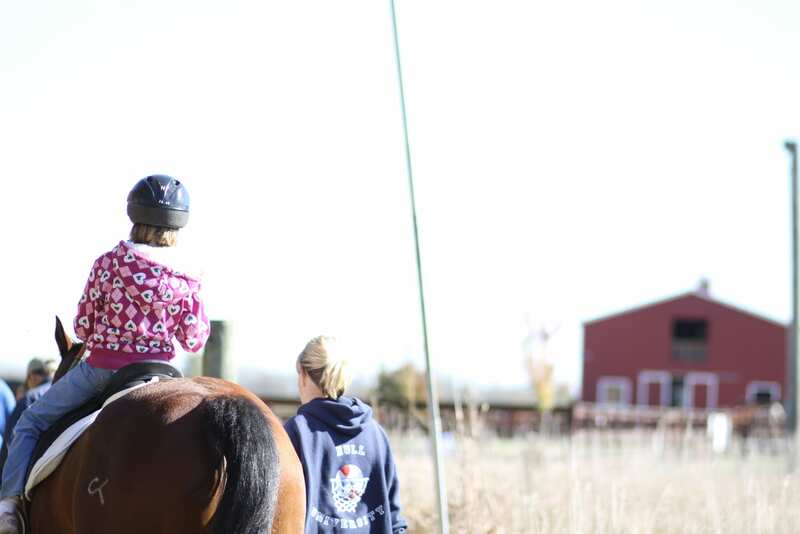 Using the non-traditional setting of the ranch environment and engaging activities with the horses, a program is designed to offer students the opportunity to learn and practice a specific character skill each session. These kinesthetic activities help improve understanding of these abstract ideas and students are able to communicate how the specific skill can make them more effective students in school. This student-centered, non-riding, mobile program allows NHR to partner with local educators to create an engaging experiential program where the miniature horses visit the school to help students with specific academic or character skills. 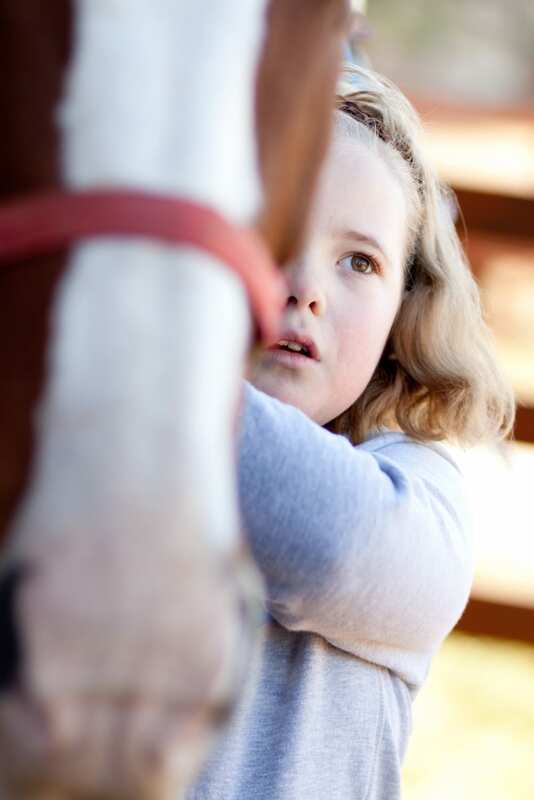 We believe that the opportunity to interact with the miniature horses while reinforcing an educational component will not only be fun and motivational but the kinesthetic learning approach will enable children to retain more information. This experiential and client driven, mental health program is co-facilitated by an Equine Specialist and a licensed mental health professional. Experiential learning and interactions with horses allows the client to open up on his/her own time frame to handle any mental health problems, concerns or issues he/she might face. 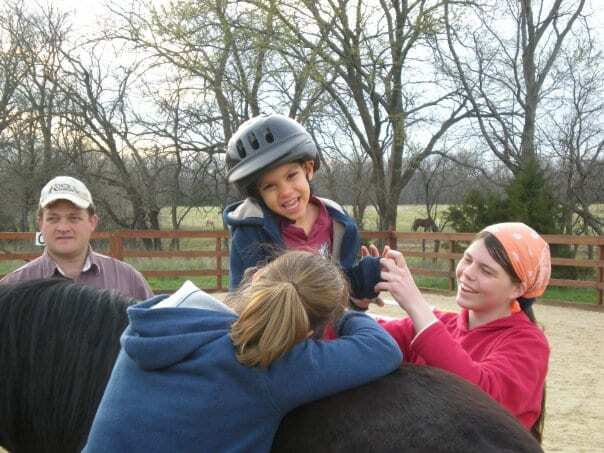 Horse Camp is an integrated experience designed to provide campers with special needs and campers with typical needs the chance to have fun side by side and bond over their common love of horses and their desire to learn more. A literacy program for struggling readers, which combines elements of classroom learning, riding horses, basic horsemanship & reading to miniature horses. Community Opportunities for Leadership and Teambuilding provides companies or organizations a unique form of staff/leadership development, training and team building while providing individuals with an opportunity to experience, first hand, the power of the interaction with the horse. Brian is a graduate of Mid America Nazarene University with a Bachelors degree in Business Administration and Agribusiness. 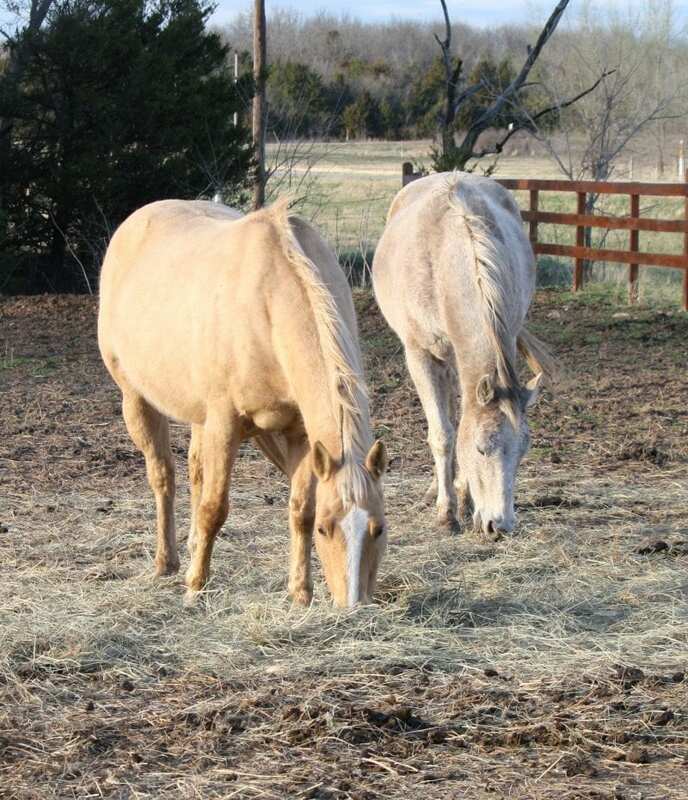 He has been in the Therapeutic Riding industry since 2001, and became both a PATH Int’l Certified Riding Instructor, and an EAGALA Certified Equine Specialist in 2006. Brian also completed the O.K. Corral Series Green Training in 2008. He and his wife, Joy, answered God’s call to found New Horizon Ranch in 2006. Brian left his position of 21 years at College Church of Nazarene in Olathe, Kansas to take the Executive Director position with NHR in 2010. He previously served as the Co-Chair of the PATH Int’l Center Advancement Committee and still enjoys finding ways to assist membership in effectively managing centers that provide quality equine assisted services. He and Joy have two children, Sara and Stetson. In his free time he enjoys riding horses, teeing up a round of golf and fishing with his kids. Joy received an International Agribusiness degree from Mid America Nazarene University in 1999. She and her husband, Brian, bought their first horses later that year, unaware that one of those horses would soon be serving riders with disabilities. 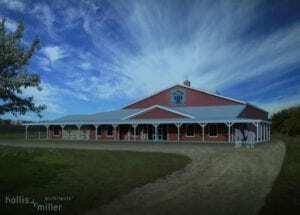 After seeing a therapeutic vaulting demonstration in 2001 they pursued God’s prompting and began volunteering at a local therapeutic riding center. 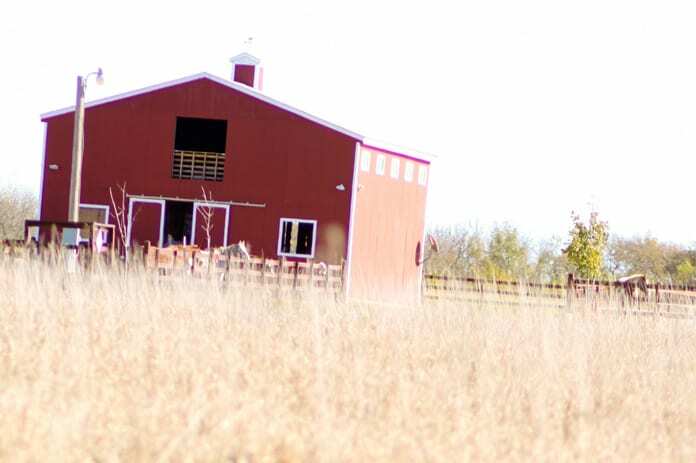 Excited to combine her love for horses and passion for people, she and Brian co-founded New Horizon Ranch in 2006. Joy became a PATH Int’lCertified Riding Instructor and an EAGALA Certified Equine Specialist in 2006 and completed the O.K. Corral Series Green Training in 2008. She uses her love for details to develop and oversee the programs at NHR. 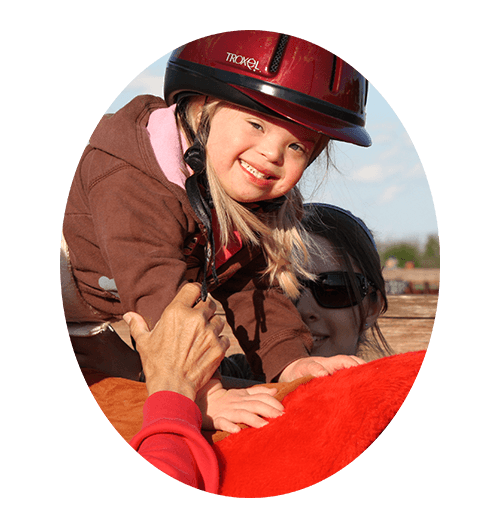 Joy enjoys the smiles and independence she sees from riders with special needs. In whatever free time she can find, Joy enjoys serving at her church, riding horses, spending time with her kids, Sara and Stetson, gardening, and using her creativity to scrapbook. Jessica was born and raised in Gardner, Kansas. A 2008 Baker University graduate, Jessica thoroughly enjoyed her 6 years of teaching 1st and 3rd graders at Heritage Elementary in Olathe. After volunteering at NHR for 4 years, she decided to extend her love for molding young learners and began to pursue her training as a PATH Int’l Certified Riding Instructor. She joined the NHR Staff in 2014 and is excited to combine her experience as an early elementary teacher, her love for kids and her passion for horses to change lives at NHR. She has already begun incorporating her educational expertise into summer camp, incorporating IEP goals into therapeutic riding and in Giddy Up and Read. It is fabulous to see her use her God given skills as she interacts with the riders! Jessica is married to Clint; they reside in Gardner with their son Austin. She enjoys being outdoors, spending time with her family (including two adorable nieces) and crocheting. We are still raising funds for the Indoor Arena Campaign. Your gift toward this beautiful indoor arena and education facility will make sure, that no matter the reason a child or adult seeks services at NHR, they can receive any of the life changing benefits – All Under One Roof!